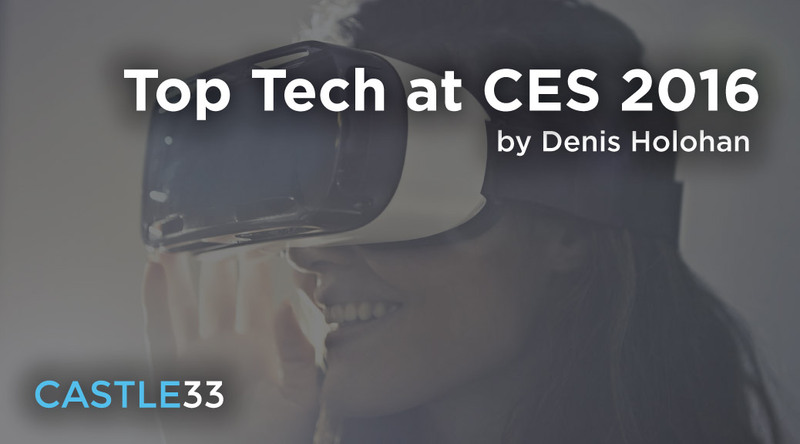 Here at CASTLE33 new technology is our bread and butter, so we thought it would be a good idea to have a look at what CES (consumer technology association) had to offer us this year all the way from Las Vegas. CES is an electronics show that takes place every January. It gives companies a chance to showcase some of their products into the public eye. We’ll be taking a look at 10 of the good, the bad and ugly at this year’s event. Instead of talking about the best piece of technology, first let’s talk about what I think is the worst. Sony’s new TV is right up there anyway. Below is a photo that was taken behind the TV, Sony went on for a good while about how clean it looked from behind and there was no visible screws. How many people do you know would care about how nice a TV looks from behind? The TV goes up against the wall! A big no from me. Staying on the topic of TV’s, LG had a new one as well. They now have an “8K Super Ultra-High Definition TV”. The surprising bit here is that there is only 200 4K movies available worldwide. That didn’t stop LG from getting the 8K ready for a launch sometime in 2016 – it must have a clear display! If there was one thing I could have from this year’s CES it’s the self-flying drone. This personal helicopter can almost fly you up to 10 miles with little or no guidance from the passenger. Unfortunately if you do have the funds to get yourself one they aren’t legal within the US just yet. I’m not too big on smart watches that have an unnecessary amount of applications and uses. This why I like this watch, unlike a lot of smart watches, the Blaze only controls GPS, calls, texts and calendar appointments. That’s it, nice and simple! That’s their niche, nothing too distracting. Not the biggest of brands in the Western market but the recent partnership with Google has certainly helped things after the launch of the poor Nexus 6P. The Mate 8 however boasts the new Kirin 950 processor, therefore the new phone is ultra-smooth which leads to an elegant user experience that you won’t forget. Now this is one I really enjoyed. Pricey but brilliant. The suitcase will set you back around $575 but it has a built in weighing scales so you’ll always know where you stand whenever you’re on the go. It also has built in GPS so you’ll always know where it is if gets lost and finally has a built in phone charger for those really long journeys. What more could you want in a suitcase? This is the most modern thermometer out there and reminds us of something straight out of Star Trek. All the data collected from your body with this can be seen in an app, the device hovers over your skin, takes roughly 4000 readings per second and gives you an instant body temperature. It’s safe, easy to use and keeps records for the entire family on the app! Priced at €99.95, it’s not too expensive either. In conclusion, CES 2016 was overall really positive and there’s been some great advances in tech since last year’s event. Whether or not most of the products will actually hit the consumer market though is yet to be seen, but at least we got a sneak preview of what the future might hold. Now, where’s my credit card..